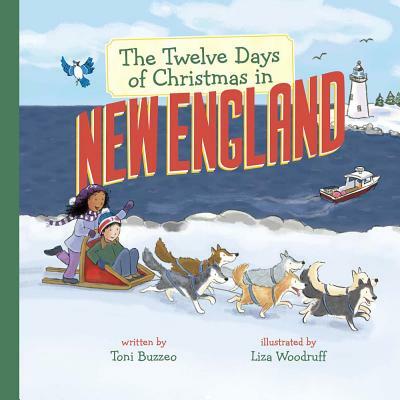 Toni Buzzeo is a New York Times bestselling children's author who grew up in the Midwest and never visited her true home--New England--until she was 22 years old. Now she lives in two New England states, in a colonial Maine farmhouse and in a Massachusetts apartment near her new grandson, Camden. Toni is the author of 24 picture and board books including the 2013 Caldecott Honor book, One Cool Friend, illustrated by David Small. Visit Toni online at tonibuzzeo.com. Liza Woodruff lives in northern Vermont with her husband, Tom, and their two children. She has illustrated many children's books, including Ten on the Sled (Sterling), If It's Snowy and You Know It, Clap Your Paws! (Sterling), and How About a Kiss from Me? (Dutton). Learn more about her at lizawoodruff.com.